US-based inbound marketing platform, HubSpot, is ramping up its assault on the Australian marketplace, investing in new offices and launching a CRM tool that significantly expands its functionality. HubSpot was founded in Massachusetts in 2006 and provides inbound marketing tools to mid-market companies. The company reached US$115.9 million (AUD$157.28m) in revenue in 2014. Last year, it recruited a dedicated Australian sales team, and in October will move into permanent offices in Sydney, supported by a new regional headquarters in Singapore. HubSpot’s chief operating officer, JD Sherman, told CMO Australia is the perfect market for HubSpot, due to the high proportion of mid-sized businesses here. He said the platform was developed to drive inbound marketing for those smaller businesses, particularly business-to-business companies, that do not have an integrated solution, which he estimated is 97 per cent of the total business community in the US. “What you have seen is that small and medium businesses have had pieces of a marketing solution for a while,” Sherman said. “We could see that mid-market companies were struggling to piece together a solution to deal with the fact that their prospects are searching online for goods and services, interacting over social media, and so on. But as HubSpot grows, it is increasingly coming into competition with other marketing platform vendors, including Oracle and IBM. “We decided to stay in the mid-market, but go wide - so build a very broad platform that mid-market companies can adopt to basically run their entire marketing and sales playbook,” Sherman said. This focus on broadening its capabilities saw HubSpot launch its own free CRM tool earlier this year, to complement its existing Sidekick email tool. That decision put it in competition with one of its backers, Salesforce, which invested in the company as part of a US$32m round in March 2011. “We noticed that of our installed base, almost 60 per cent were not using CRM software at all, they were mostly using HubSpot and our contacts database to manage their sales activities,” Sherman said. HubSpot has long had a ‘co-opetition’ relationship with Salesforce, and is a Salesforce user itself, with a large segment of HubSpot’s customers also integrating with Salesforce, he continued. The ambition for HubSpot’s CRM is to address greenfield customers that have not yet signed on to any CRM system, which is estimated at 60 per cent of current customers. “It would be tough for anybody to go head-to-head with entrenched CRM providers,” Sherman said. “What we are really trying to do is solve a need for the mid-market, for a different kind of CRM software. “And we thought they would get a lot more value out of the HubSpot marketing software, as well as be more effective with their total marketing and sales organisation, if they had a CRM tool to use.” Sherman claimed that in this market, Salesforce is at a disadvantage, as it is designed for the people managing sales teams, not working in them. 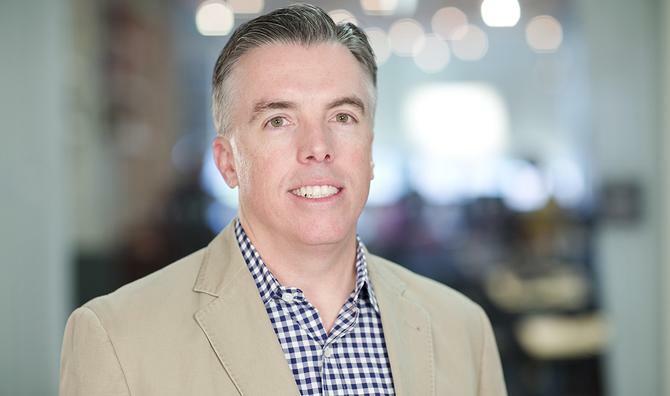 “When we talked about CRM software with our own sales team, we found out that our sales people spend an hour-and-a-half a day just entering stuff into the CRM,” he said. “It is a productivity drain rather than a productivity benefit for the sales person. HubSpot also competes with Salesforce thanks to that company’s 2013 acquisition of ExactTarget, which also bought the Pardot business-to-business marketing automation tool under the Salesforce umbrella. However, Sherman said that where Pardot is focused on the middle part of the sales funnel, to convert qualified leads into sales, HubSpot is focuses on the top of the funnel. “We have a platform that can turn strangers into visitors and visitors into leads, as well as turning those leads into really good opportunities for the sales team,” he said. HubSpot will continue to broaden out its core service platform. Sherman said part of that plan is to roll out a robust set of APIs to improve integration with other tools, as well as enhancing its analytics capabilities. “I would say we are in the very early innings of analytics for HubSpot,” he added.